Building on the success of previous years! 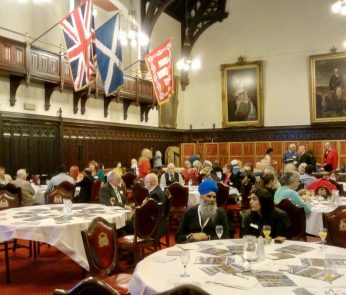 Scottish Interfaith Week 2017 was a great success with 25 different events across Glasgow, many of them following this year’s theme ‘Creativity and the Arts’. 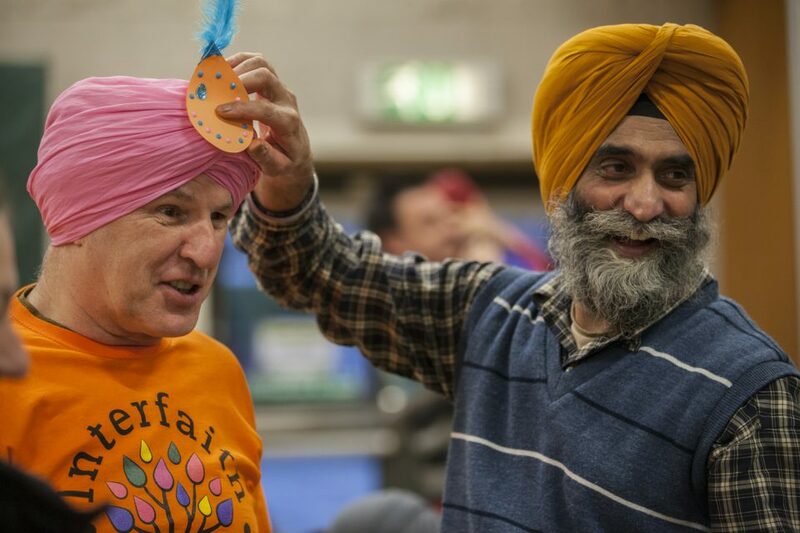 Interfaith Glasgow held a special Scriptural Reasoning event ‘Exploring Creation in Hindu and Sikh Scriptures’ (p. 5) and a Faith to Faith dialogue on ‘Poetry and Spirituality’ (p. 6) as well as our annual Interfaith Family Fun Day. 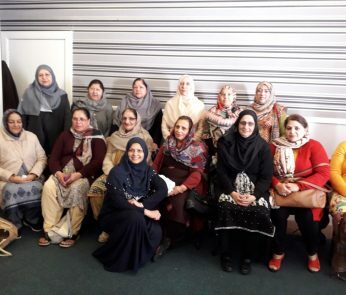 The Family Fun Day was focused on encouraging interaction and understanding through arts and crafts activities that introduce peple to elements of Glasgow’s different religious traditions. 8 ‘Faith Table Workshops’, each hosted by members of a different religious tradition featured activities such as making Rangoli patterns from the Hindu tradition and exploring Sacred Geometry from the Muslim tradition. 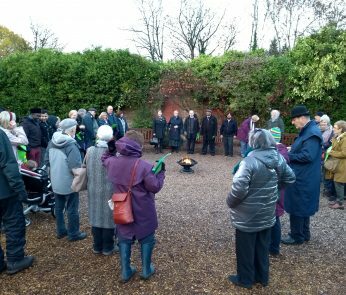 Approximately 180 people attended from a range of backgrounds including Christian, Buddhist, Muslim, Jewish, Sikh, Hindu, Baha’i, Pagan and non-religious. Other arts and crafts activities were offered by ‘Hats of Faith’, The Forestry Commission, and St Mungo’s; there was a ‘try it on’ stand where guests could try on a head covering from the Jewish, Muslim, and Sikh traditions; and there were chess tables, a smoothie bike, an interfaith tree workshop, henna, and face-painting as well as music and dance performances. Delicious food − free to participants − was provided by Ruzbowl social enterprise. We are looking forward to SIFW 2018 (11th – 18th November) which, inspired by the Scottish Government’s ‘Year of Young People’ will be on the theme of ‘Connecting Generations’.